Many junior nickel stocks have been crushed this year. 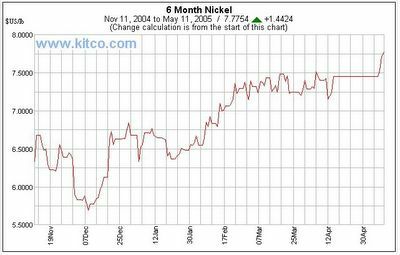 This 6 month chart shows that the nickel price has remained relatively constant (and much higher than the 2001 price of under US$3.00/lb). 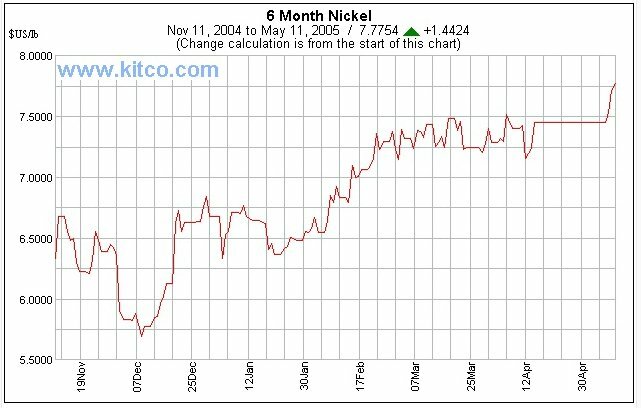 Nickel is flirting with a new high as well so we're rolling up our sleaves to check junior nickel companies for Big Picture Speculator subscribers*. *The Free 30 day trial does NOT require your credit card information.